Sure, hitting your move, exercise, and stand goals are great, but being able to compete and compare your stats with friends could make the experience so much better. When people ask me what the best thing about the Apple Watch is—and rest assured, it comes up pretty much anytime they see I have one—I almost always tout the fitness features of the device as my favorite aspect. For one, they surpass the iPhone’s meager fitness offerings, making it one of the more compelling selling points of the Apple Watch. For another, it actually encourages me to do something that improves my life. Competing against friends may motivate you to actually fill those circles. But as much as I like hitting my move, exercise, and stand goals every day, it’s started to feel like there’s something that’s missing: Community. As great as it is to compete against yourself and try to constantly top your own personal best, sometimes pitting yourself against others can be a great form of encouragement. I probably wouldn’t go to the gym half as often as I do if it weren’t for the motivation of my friends going as well. So why can’t the Apple Watch take advantage of that, too? Apple’s most popular competitor in the wearable fitness device space is Fitbit, and that company has wholeheartedly embraced the social aspect of workouts—friends who have Fitbits regularly cite it as the most fun or engaging part of the device. 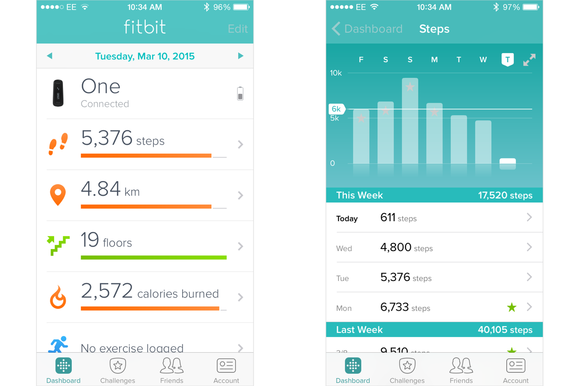 Using the Fitbit app, people can compare their progress throughout the day or week against their friends (or perhaps even their enemies). That social aspect is a great motivator, but it’s wholly missing from Apple’s fitness features. Fitbit’s app has a built-in section for keeping tabs on your friends’ activity. More to the point, as my co-host on The Rebound podcast (and Macworld contributor) John Moltz suggested in our most recent episode, Apple’s already got the infrastructure in place to support just such an idea: Game Center. Apple’s online gaming service has leaderboards, challenges, achievements, and so on—all things that Fitbit offers in its own app. Creating a link between the Activity app and Game Center would potentially provide even better engagement for the Apple Watch’s fitness features. Imagine if you could see how close your best friend was to completing their move goal and encourage them—or taunt them—into completing it. Forget simply reaching your Apple Watch’s prescribed goals of how much you move in a day: Don’t you want to outdo your parents or siblings? Forget simply reaching your Apple Watch’s prescribed goals of how much you move in a day: Don’t you want to outdo your parents or siblings? The Activity app already offers achievements for fitness goals achieved with the Apple Watch, so gamifying it seems like a natural extension of both the health features of the Apple Watch, as well as the often lackluster Game Center. Apple’s gaming service is one of those pervasive pieces of technologies that sometimes feels like it’s on life support, only surviving because, well, it belongs to Apple. But it’s hardly a destination that users flock to, and for most people it’s probably most associated with the annoying dialog box that seems to pop up at random times and prompt them to log in. Neither games nor social have ever particularly been Apple’s strong suits, and while Game Center’s goal of providing a one-stop-shop for gaming-related tasks probably helps developers who don’t want to reinvent the wheel, it’s not really a compelling place for most users to visit. But folding in the fitness aspects might actually give people a reason to check those leaderboards, or to see how their friends and family are doing at fitness tasks. Perhaps one could even join forces with other Apple Watch owners to complete group goals—I’ve known a few workplaces that have done walking/step challenges, and this would certainly simplify it. But folding in the fitness aspects might actually give people a reason to check those [Game Center] leaderboards, or to see how their friends and family are doing at fitness tasks. Were Apple feeling particularly generous, it might even consider opening up some of those fitness challenges to iPhone owners, too. While the smartphone doesn’t have the same level of sensors and tracking information as the Apple Watch, it does at least act as a pedometer, and Fitbit’s proved that there’s plenty of interest in simply tracking your steps. 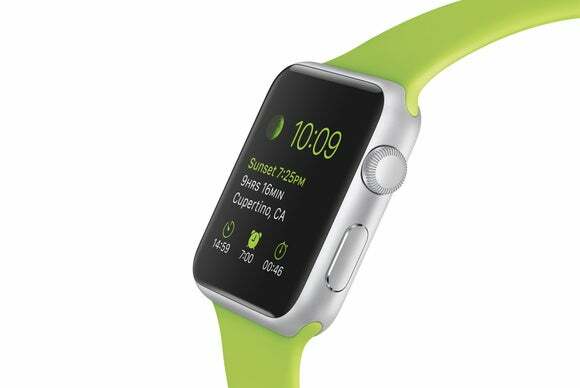 Apple’s emphasis on fitness in the Apple Watch has been a huge part of the device’s message. There’s the fact that one of the models is called the “Sport” or that Tim Cook brought up Christy Turlington Burns to talk about long distance running using the Watch. Tim Cook is himself a bit of a fitness nut, which to my mind explains the attention fitness has gotten—the Apple Watch is to Cook as the original iPod was to the late Steve Jobs: A device that embodies a personal passion. Just as Cook has pushed Apple towards more charity work and improved diversity, he’s pushing the company and its customers towards better health and fitness. But it’s often hard to do that alone, and while Apple hasn’t always excelled at the social aspects of technology, this seems like one place where the company is well positioned to encourage its users—who themselves often feel like they’re part of a close-knit community—to work together towards that common goal, and, moreover, to have fun doing it.